Fashion has a huge impact not only on the environment but also our health. A huge amount of pesticides, insecticides and synthetic dyes are used to make most of the items in our wardrobe. To produce a single cotton top, a third of a pound of pesticide is used. Residues of these toxins remain on garments and wehn in constant close contact to the body can cause skin irritations like rashes and itching. The fashion industry is cottoning on in a big way to the benefits of natural, organically grown fibres. Brands from all segments of the market (Stella McCartney, Victoria's Secret and H&M to name a few) are designing their garments with a contemporary environmentally conscious mentality. 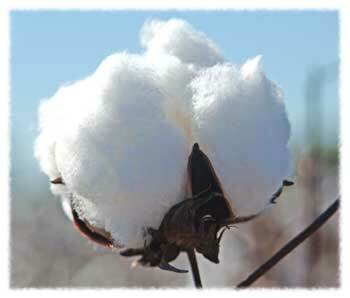 Organic Cotton is grown by farmers who do not use nasty chemicals on their crops. Clothes made form organic cotton are free from chlorine bleaches and synthetic dyes. Instead pigments derived from nature's plants, vegetables and roots are used to make colourfast dyes to add differing tones to organic clothes and textiles. Though organic cotton equates to only 1% of total cotton grown across the world there is a trend amongst fashion labels to use this fiber as a more central fabric in their creations. Hats, underwear, baby toys, cotton wool buds, bedding - if it's made from fabric it's likely you'll be able to find an organic cotton version of it on the high street very soon.